THE "VERVE", by Porte Development. Top Floor Unit, "quiet side" of the building, Extra-High Ceilings, Huge bright windows, feels a lot bigger than actual sq.footage. Extremely well-kept, just like new condition. Open floor plan -Living room and Dining Area; Spacious Mbdrm. Kitchen features polished Quartz Counter tops, Trendsetting Cabinetry and Stainless Steel Appliances. 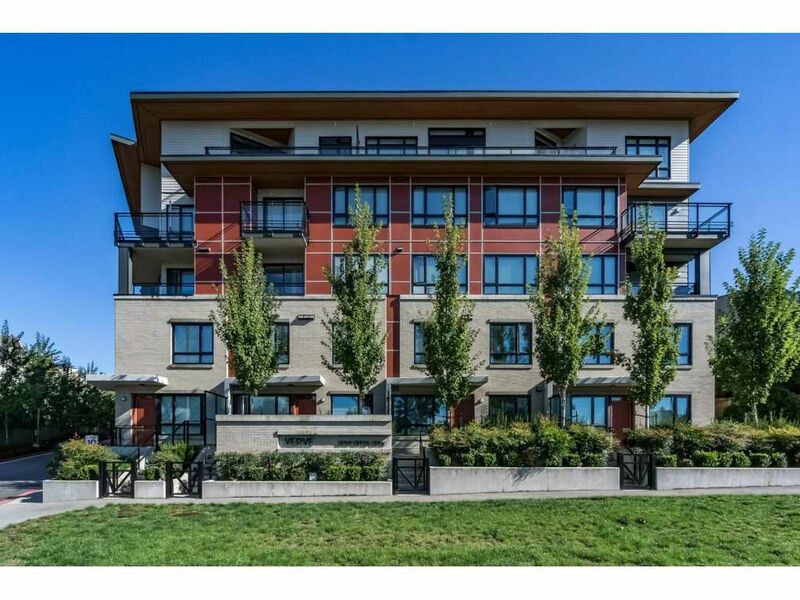 Clean and Well Maintained Building, conveniently located steps to Transit, King George Station, Surrey Memorial/ Jim Pattison; minutes to Central City Shops, SFU and all amenities.